I started by cutting circles from the extra hats. You can get a few clock faces out of each hat depending on the size you want. I applied sticker numbers to the clock faces and also cut clock hands from the extra hats. I used a brass fastener to attach everything to the hat and put a little hot glue under the edges of the clock face. The pom pom on the top is also attached with hot glue. The numbers are crooked because the kids helped (lie). 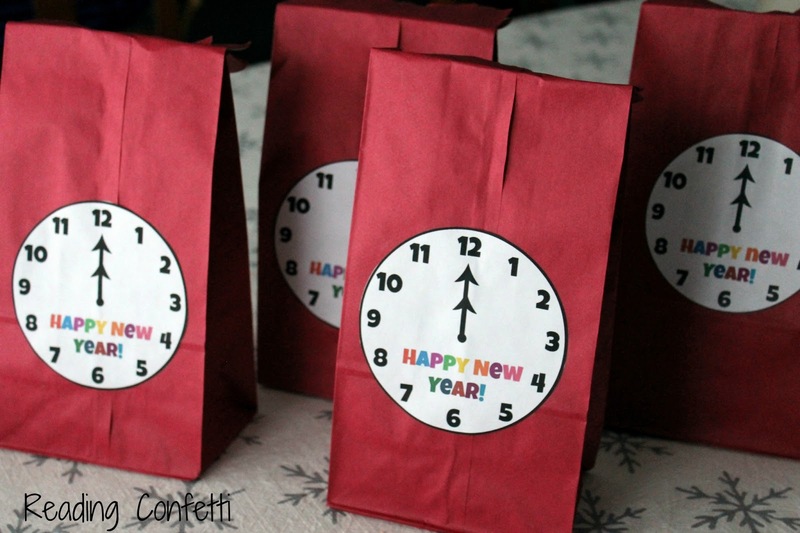 I put the hats into red lunch bags also decorated with clocks. I included some noise makers and glow bracelets too. 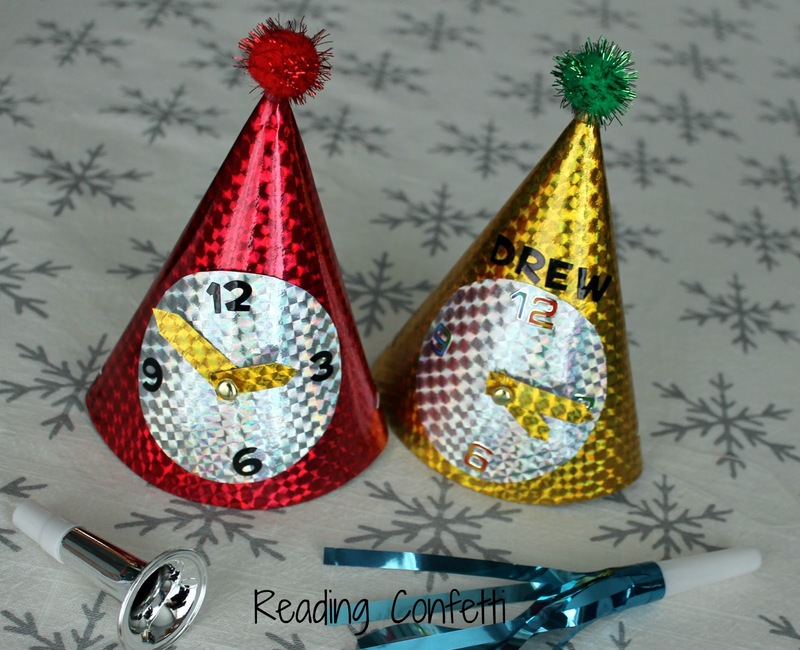 Click here to get the printable with clock hands. If you don't want to make a trip to the dollar store, you can use what you already have. 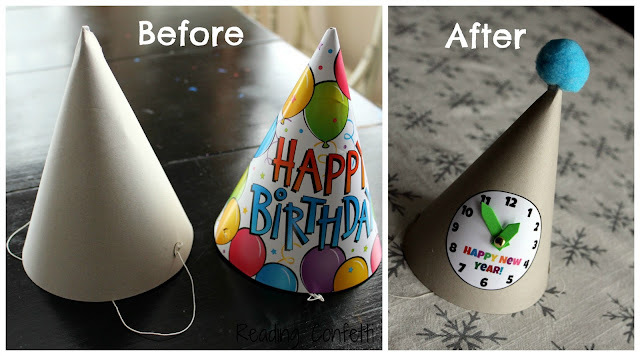 I made these clock hats by turning a birthday party hat inside out. 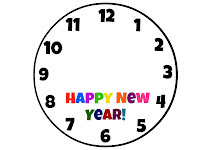 I used the same printable, but without the clock hands. I made the clock hands from craft foam. It might be fun to have kids decorate these with paint or markers. 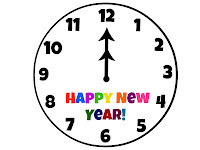 Click here to get the printable without clock hands. P. Bear's New Year's Party: A Counting Book P. Bear has invited his friends to a New Year's party. Every time the clock strikes the hour, that many animals show up to the party. This is a great one for counting and as an introduction to telling time. 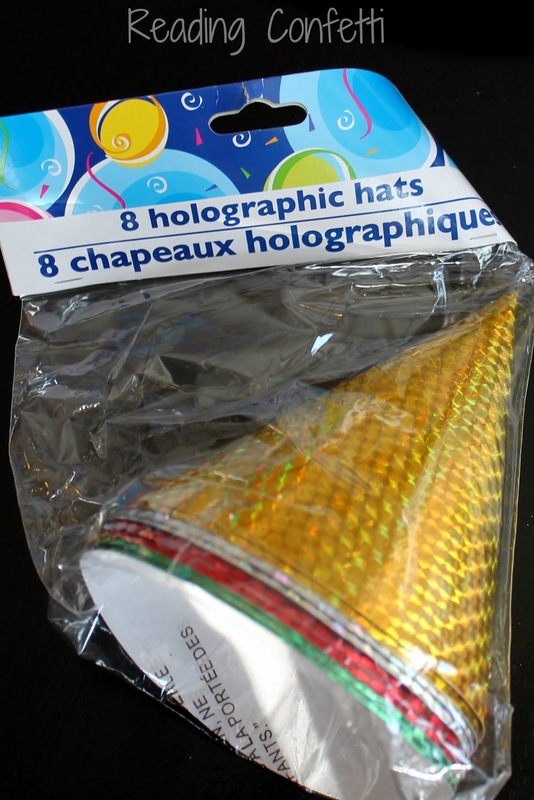 It also is a great way to get kids excited about the "countdown". The illustrations are simple black, white, and red. The Grouchy Ladybug The Grouchy Ladybug argues over aphids for breakfast with a friendly ladybug. The Grouchy Ladybug wants to fight, but backs down and says he wants to fight somebody bigger. The animals he encounters get larger and larger, but the Grouchy Ladybug continues looking for an animal to fight. Eventually he's smacked by a whale's tail and lands right back where he started. Tired, hungry, and wet, the Grouchy Ladybug learns how nice it can be to share. Each page tells (and shows) the time. We've done a project for this book. It's About Time! This book shows each hour of the day on a digital and analog clock and connects it to an activity that would be typical in a young child's life. It's a good, basic introduction to telling time. I love your hats! 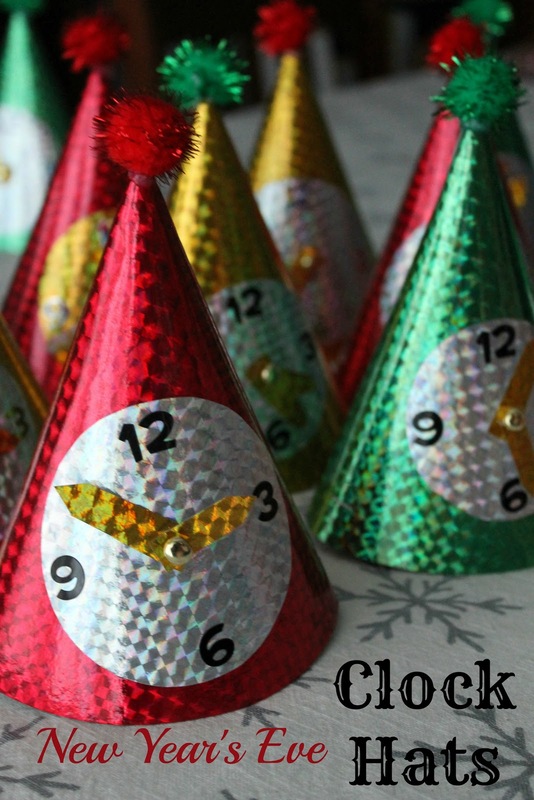 What fun they would be for telling time and partying! So fun Lorie!! 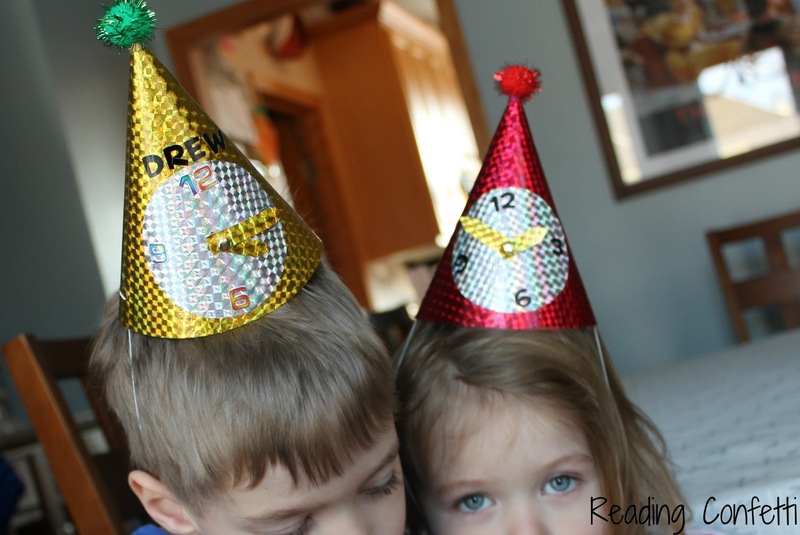 I love how you tied an educational idea into New Years fun! What an awesome way to teach kids about telling time. I pinned it.